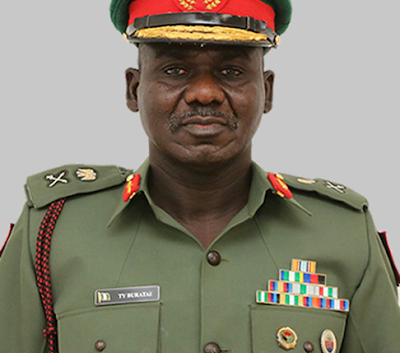 Chief of Army Staff, Lieutenant-General Tukur Buratai, yesterday said judging by the current activities of the Boko Haram terrorists, it has been proven that 60 per cent of the insurgents are not Nigerians. Buratai said this when he received the Special Representative of the UN Secretary-General, Dr Mohammed Ibn Chambas, at the headquarters of the Theatre Command of Operation Lafiya Dole, at the Maimalari Cantonment in Maiduguri, Borno state. “Your Excellency, I want to bring to your attention that while the Boko Haram (insurgency) can be said to have started in Nigeria, by and large, as at today, I can say that almost 60 per cent of the insurgents are from our neighbouring countries. You can see that almost all of the recently surrendered insurgents are not Nigerians. This is a challenge that impacts more on the Nigerian side than the other countries. But by and large, our military is up to the task and we will continue to do our best to ensure that our country is secured” he said.